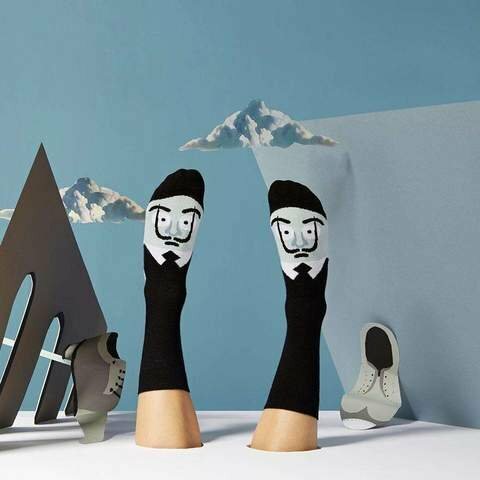 Sole-Adore Dali can help you feel comfortable around unconventional art thanks to his cosy combed cotton sole. Let Dali teach you a thing or two about drawing your dreams; he’ll turn your sock drawer upside down with his surrealist influence. 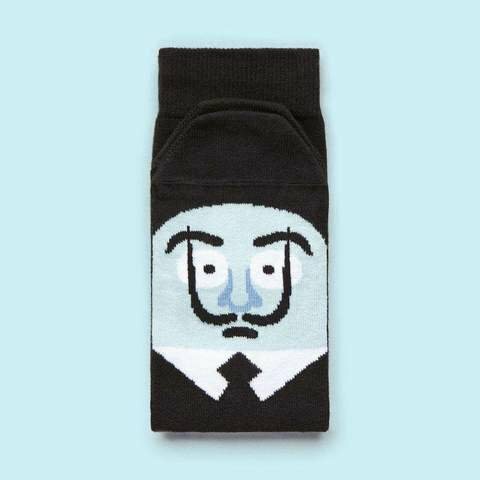 And when you’ve got to get back to reality on Monday morning, he’ll keep you company inside your sensible shoes to remind you just how loony life can be. 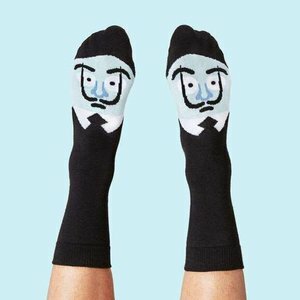 Get these funny socks as a cool science gift. Wash in low temperature, up to 40°C. Avoid the tumble dryer. Do not iron.